Padraig began his insurance career with PJF Insurances in 1986 and has over 30 years insurance industry experience. Padraig is a “Grandfathered” person in insurance, reflecting his vast level of experience in this area. 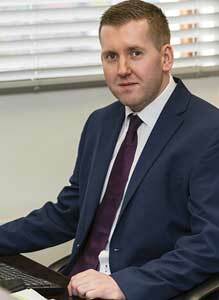 Padraig was appointed Director of PJF Insurances in 1998 and he became Managing Director in 2003. Padraig has expanded the business from a local insurance business, servicing clients in the Kinsale and wider West Cork areas, to a thriving national Commercial Insurance business. His clients range from loyal local personal & commercial clients, to business clients throughout Ireland, together with clients based abroad with business interests in Ireland. Padraig looks after the commercial side of the business, and the development of new competitive insurance schemes for areas such as Craft Brewers, Heritage & Period Properties, Restaurants, Hair & Beauty Salons and Charity & Voluntary Not for Profit sector. National Purchasing Power with a Local Personal Service. Exclusive access to a range of Home, Motor, Commercial Vehicle & SME Insurance Covers. Provides better value & choice for our clients. 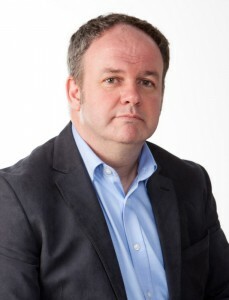 Padraig completed the Chartered Insurance Institute, Certificate of Proficiency exam in 1991 and is a “Grandfathered person” in the insurance industry. Padraig co founded the Kinsale Peace Project, a voluntary, not for profit human rights awarenesss group. The Peace Project brings national & international speakers to Kinsale, who work in the areas of social justice, peace building and NGO’s. Previous visitors to the Project have included, Fr Peter McVerry of the Peter McVerry Trust, Sr Stanislaus Kennedy founder of Focus Ireland, Fergal Keane, Cork native and internationally renound BBC Foreign Correspondent, Christina Noble of the Christina Noble Foundation and Paul Rusesabagina, the real life Rwandan hero on whom the film, Hotel Rwanda is based. For further information, please visit www.kinsalepeaceproject.com or follow us on Twitter ……… and on FB. Padraig also co founded Kinsale Fairtrade Committee in the 90’s and was instrumental in achieving the award of “Best Fairtrade Town in Ireland” in 2007. Padraig has continued to work as a Volunteer for the Irish charity Trocaire and fundraises for them. Padraig was recently invited by Trocaire as a Volunteer, to visit Zimbabwe in Africa to view the worthwhile projects, that the charity have set up to improve the plight of the local people. 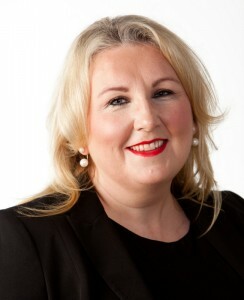 Lisa began her insurance career, with Standard Life Assurance Company in 1989. She worked with Standard Life for 10 years, in the areas of life assurance, investments and specialised in the Personal & Executive Pension areas. Lisa was promoted to Senior Pensions Assistant and worked for the Regional Pensions Director for Ireland. Lisa joined PJF Insurances as Director in 2003. Lisa has been instrumental in streamlining the accounts preparation, work processes and improving the customer experience for the company’s clients. Lisa assists in the Commercial planning and development for the business. Lisa achieved insurance qualification as an Associate of the Chartered Insurance Institute (ACII) in 1991. Lisa excelled at her insurance examinations, winning numerous national awards for her high level of exam achievement. She was awarded the Sargison Memorial Prize for being the youngest and most highly accomplished student in Ireland, who attained their insurance qualification in the fastest time. Lisa was also actively involved for many years in the Insurance Institute in Cork. Lisa has also completed her APA insurance qualification in the area of Life & Pensions. Lisa is a mother to three young children and enjoys getting involved in their sporting, music and educational activities. Lisa is an active member of the Fleischmann Choir, at Cork School of Music. Lisa enjoys reading, fitness and music. Lisa is also actively involved in the Kinsale Peace Project, and helps co ordinate the speaking events and the promotion of the awareness building aims of the projects with local school children. Claire joined PJF Insces in Dec 2014 as a Personal Lines Executive. Claire has 8 years industry experience in the Personal Lines & Commercial Lines areas of business. Since joining PJF, Claire has been promoted to Senior Personal Lines Executive, reflective of her technical expertise and high level of customer service. Claire’s role involves dealing with new and existing clients on motor, home, rental property insurance and Commercial Property Owner’s Insurance. She works on obtaining best quotations for new policies and existing policies at renewal. 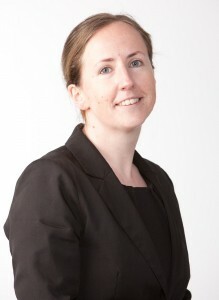 Claire also works with Commercial business and in particular specialises in Farm Insurance. Claire has a Diploma in Architectural Technology, having started her career working with a Quantity Surveyor business. Claire worked for over 5 years with a Cork City broker’s office and has 8 years General Insurance knowledge and experience. Claire is a qualified APA in Personal & Commercial Insurance, and is working towards her CIP (Professional Diploma in Insurance) qualification. Claire is an avid sports fan. She played GAA football on the Cork panel for a number of years. She plays GAA football and soccer regularly each week. Jeremy will offer you the best choice of cover, in regard to Farm Insurance, Business Insurance, Tradesman Liability Insurance, Home Insurance, Rental Property & Holiday Home Insurance. I have 5 year’s experience working in the insurance industry. I have a background in Farm, Commercial, Personal Lines and Health Insurance. Formerly of FBD Insurance where I dealt with Farm, Commercial, and Liability Insurance. I am CIP qualified(Professional Diploma in Insurance). I am an avid Soccer and GAA fan. Manchester United and Cork City Fan and Cork GAA. I enjoy going to matches and I play soccer regularly every week. I also have a keen interest in music, I enjoy live music and going to concerts. Personal & professional service guaranteed, founded in 1969. PJF Insurances Ltd t/a PJ Fitzgerald Insurances is regulated by The Central Bank of Ireland.